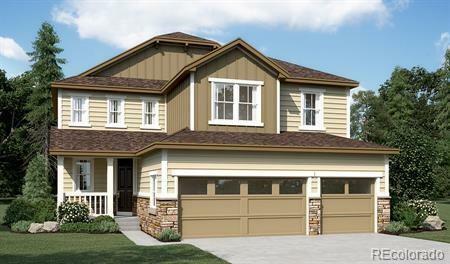 A beautiful 2 story plan located in Parker! Inside you will find a large kitchen with sizeable island adjacent to a spacious sunroom. Enjoy a main floor study and take a walk down stairs to the finished basement!! Outdoor features include a covered patio!! Community features include easy access to Cherry Creek Trail. Conveniently located to downtown Parker, shopping, dining, and more! Don't miss out on the chance to select all interior finishes! Will be ready for move-in this summer! Ask about our special offers.